Teenagers are particularly at risk of suffering a workplace injury. Many teenagers take up summer jobs. Of course the extra cash is always welcome but it teaches them a lot too. They learn responsibility and they learn the value of money. You’ll often find they start to spend less money when they’ve had to work hard for it rather than simply being given it. However, this age group are particularly at risk of suffering a workplace injury. In fact, young people between the ages of 14 and 24 have the highest risk of a workplace injury. There are several reasons why this is case. Of course their lack of experience will play a part. However, their youth tends to make them act in a certain way that can lead to incidents. Young people tend to be less cautious than older workers. They may take unnecessary risks and are more likely not to use supplied safety equipment or clothing. Younger workers are also less likely to ask questions of their older colleagues if there is something they do not understand, or perhaps some equipment they are not sure how to use. So they try to work things out for themselves instead, and this can lead to accidents and injuries. The type of job will determine what type of injury they are at risk of. Factory work, or farming and gardening work is quite common over the summer months. 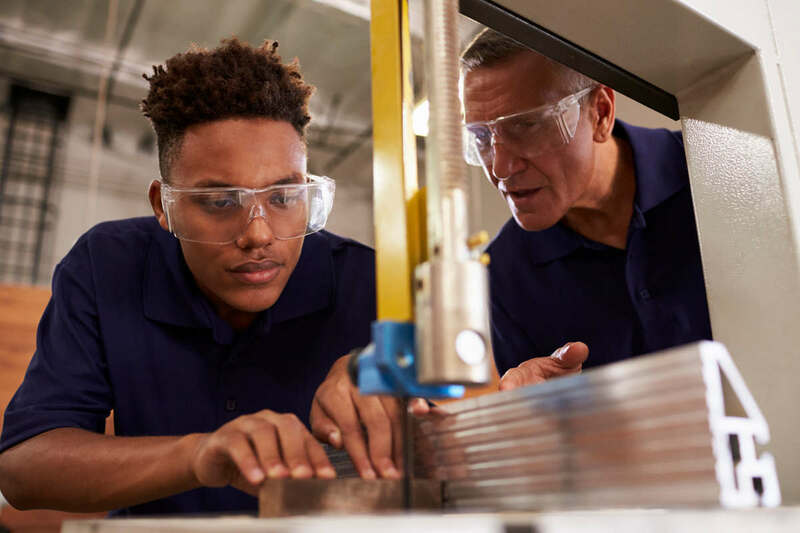 While there are laws stating how old young people must be before they can handle certain types of more dangerous machinery, there are still plenty of ways in which they can be injured if they don’t take the proper precautions. Falling and crushing accidents are common. Fast food restaurants and diners are popular with youngsters looking for a summer job. Here they are at risk of burns, slip and fall injuries as well as injuries from handling knives. If your teen is keen to get a summer job, it’s worth having a talk with them about the possible risks. Tell them to be cautious and always to ask for help if they are not sure how to perform a particular task. You should also let them know that they do have rights. If they feel that their workplace is unsafe then tell them that they should have the courage to speak up, even if they fear a negative reaction from their employer. No summer job is worth risking your safety. Speaking up in the workplace can help keep them safe, and also all the other young people working there too. If your teen has suffered a workplace injury, you should contact a St Louis workers compensation lawyer. They will be able to help determine whether your child is entitled to workers compensation benefits, and could also help to put right any issues with the working practices at their place of employment. Free Consultation: Call (888) 872-6795. Our Law Firm works exclusively in the area of Missouri Workers Compensation in St. Louis and throughout Missouri.